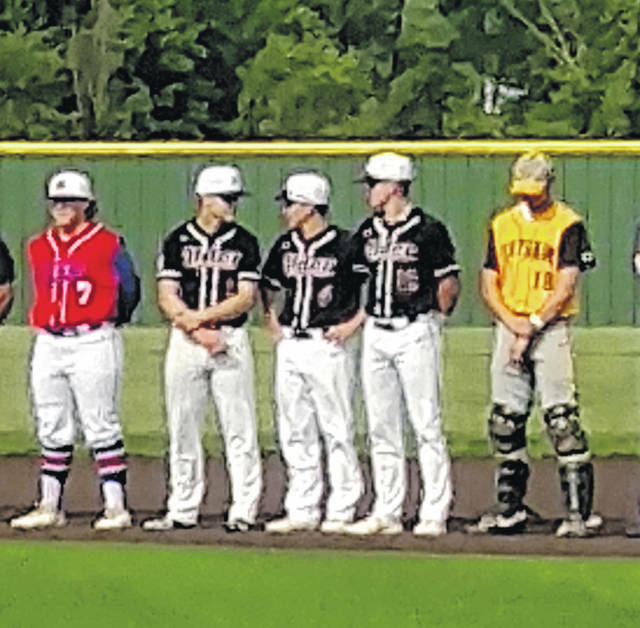 Two local baseball players, Matt Reid from Highland (l) and Austin Wheeler of Northmor (r), played in the Central District All-Star game at Olentangy Liberty on Monday, May 21. To be eligible, players must be seniors who received first-team or second-team Central District honors and then were chosen by the coaches selected to coach the game. The two combined for three hits and three RBIs in their North team’s 5-2 win. Wheeler, the starting catcher, drove in the team’s first run with a single in the first inning and then was driven in by an RBI single by Reid, who started at second base. Wheeler would then be hit by a pitch in the fourth inning and was driven in by another Reid single.